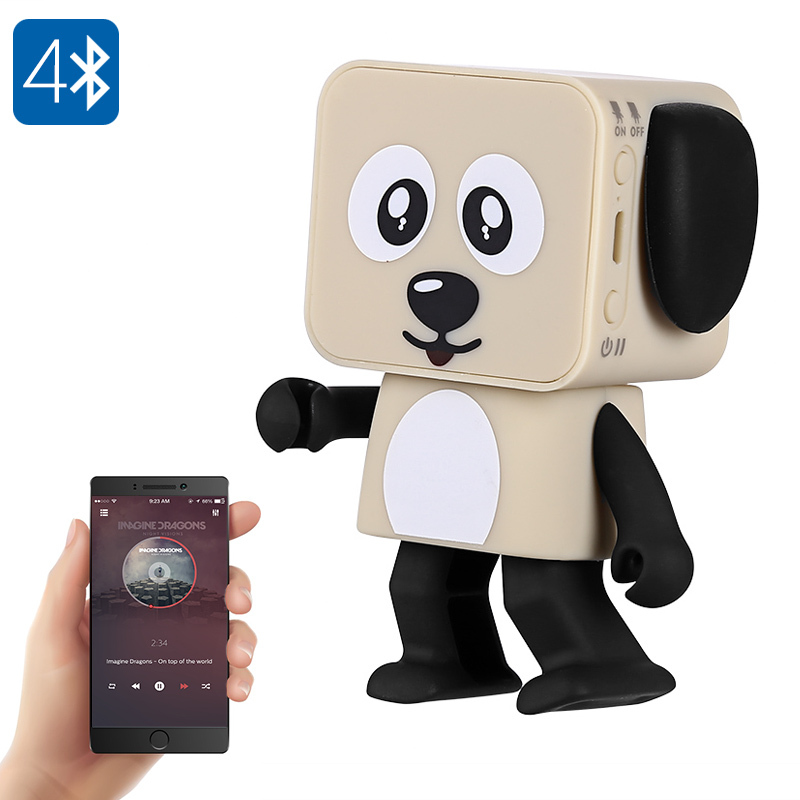 Successfully Added Dancing Bluetooth Speaker - 5 Watt, Blutooth 4.0, 800mAh Battery, Adorable Design to your Shopping Cart. Adorable 5 Watt Bluetooth speaker is a great way to enjoy music at home or on the go. Dancing Bluetooth speaker boogies along with the groove of your music. 800mAh battery brings an hour's worth of fun entertainment. This adorable Bluetooth speaker makes an ideal gift. Just pair the Bluetooth speaker with an Android or iOS phone and share songs with family and friends. The wireless speaker is quick and easy to use and you can control all the songs up to 10 meters away from your phone. With a cute dog design this lovely little speaker will be a hit with the kids as it can dance as the music plays, This makes it a fun toy for your children's music time. A 5 Watt speaker brings your music to life and the 800mAh build in battery means it can run for up to an hour. The speaker can work as a hands-free device for your phone so you won't miss any incoming calls. This Bluetooth speaker comes with 12 months warranty, brought to you by the leader in electronic devices as well as wholesale speakers and electronic gadgets..